We all know the deal. We all know what we should be carrying on the trail. But let’s be honest… Sometimes things just don’t go according to plan… Or for that matter, even according to the backup plan. Brought a spare tube? 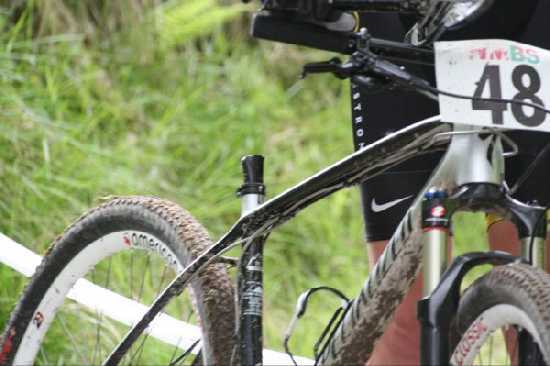 Good for you, but if you’ve flatted on the way up and torn a sidewall on the way down, you may have ended up needing a little trail-side MacGyver magic! 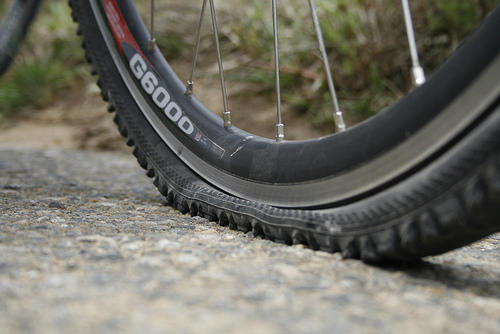 Should you find yourself in the backcountry fresh out of of tubes or a patch kit, one option is to stuff your flat tire with grass and leaves. 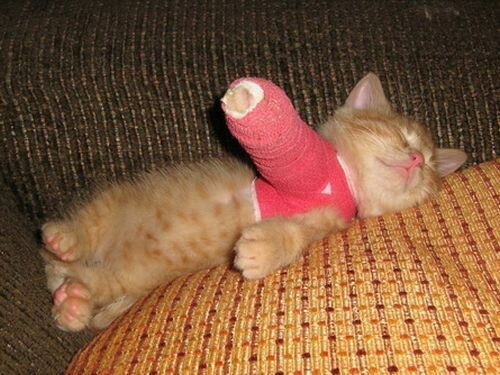 You might laugh, but I have actually tried this myself. It’s not a comfortable ride and it will truly blow your mind just how much grass you can actually stuff into an empty tire. It takes forever to fill. Another option I’ve run across is to tear/cut the tube at the point of the puncture and then tie the two pieces into a knot. Inflate the tube as moderately as you dare, and limp back to the trailhead. 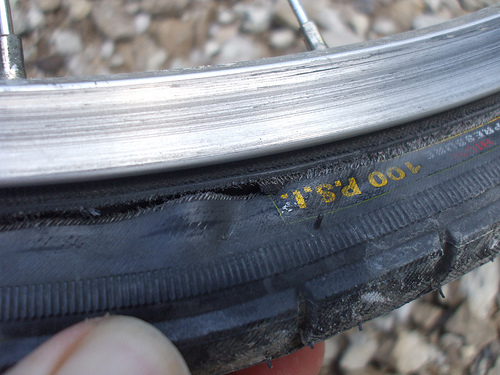 If you’ve torn your sidewall and still have healthy tube, it’s a simple matter of covering/protecting the hole. The real debate comes withwhat you’re going to use to patch the hole… Ideas include dollar bills, powerbar wrappers, duct tape, or, in desperate times even a portion of your insole. If you haven’t completely taco’d things, there’s usually still hope – At least hope to make it back to the car. For small warps you can usually bring things back with a spoke wrench, but for larger bends more drastic measures are in needed… You’ll need to find something solid to rest the hub on, probably against a tree, or on a log so you don’t trash your hub (though I have done this successfully using a rock as well). Once you feel the rim is resting securely you can use your arms (and/or body weight) to push the rim back into shape. It’s not going to be perfect, and chances are your rim is garbage, but with any luck it’ll be rideable at a slow speed. Believe it or not this has happened to me twice and both times I’ve ridden back to the trailhead without a seat. A far from pleasant experience to be sure. Although I would recommend against splinting a broken seat post, if you’re able to find a piece of wood that will fit into the bottom of your seat-post and your frame that may do the trick, but if you do employ something like this it’s likely wise to stay out of the saddle on anything other than the flats, or non-aggressive declines/inclines. If the derailleur won’t shift (ie. 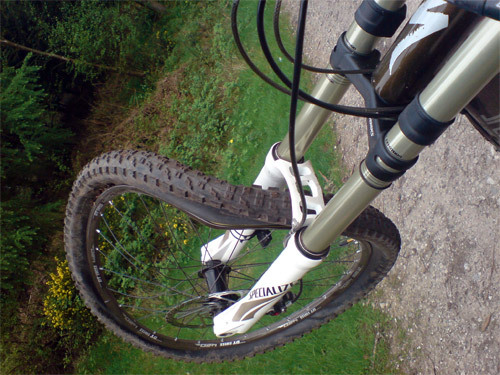 you’ve snapped the cable, or broken the mechanism) it’s possible keep the derailleur on the bike. You should be able to adjust which cog of the cassette it will sit in by adjusting the limit screws and leave the rest as is (just get rid of any loose bits). The nice benefit of this is that you should still be able to use your front chainrings… Making the ride home a little easier. 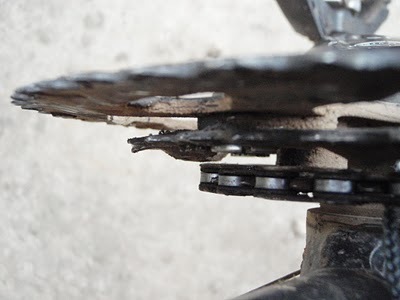 If the derailleur is completely destroyed, your best bet is to remove it (if a branch or rock hasn’t already done that for you) and take your steed down to singlespeed status. To do so, thread the chain through the middle chainring and the middle rear cog (so the chain is in a straight line). 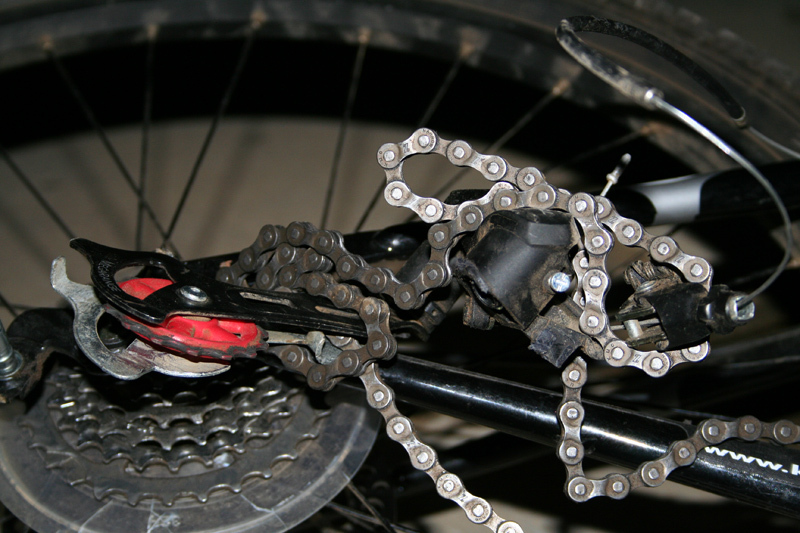 Remove as many links as are needed to ensure that the chain won’t skip off the rear cog. If you’ve got a crescent wrench or a multi-tool with a long piece of metal, you can attempt to bend the chainring back into place using it as a lever. In times past, my multi-tool didn’t provide me enough leverage to make this work, but I found that strategically bashing the chainring with a rock can get it back into rideable shape. Either that or render it into a mangled piece of metal. How about you? Any other gems? Disaster rarely averted through a clever fix? Let us know!